Buying gold vs selling gold. Which to do? It is well understood that when something is in short supply, the price goes up. As rarity of a product or service increases, so does the price. The art world understands this completely. Yet in the gold and precious metals arena we have a completely different story. 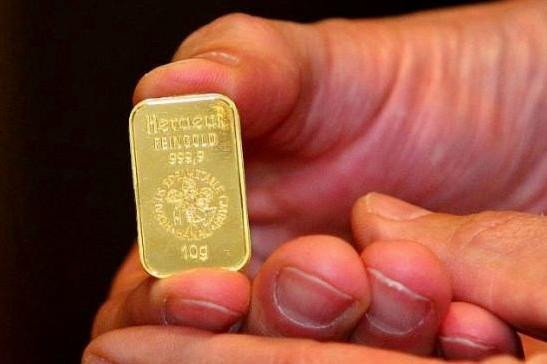 One ounce gold bars are the biggest seller. And don’t forget the silver market. The US mint is having a hard time keeping up with the demand for silver eagles and silver maple leafs which are already seeing delayed delivery. The premium on gold and silver products is at a premium. Yet on the other hand we see the ‘price of gold’ going down contrary to the value of gold. In point of fact it is being driven down with a vengeance by JPMorgan et al. GATA's Chris Powell stated many years ago. "There are no markets anymore, only interventions." And we can see this now quite blatantly in today’s market. Only recently high frequency traders got stuck in to the gold. This gold cartel raid of shorting precious metals hit an all time high (or should it be low) recently with massive selling. Over five hundred tones of paper gold were recently sold by the gold cartel in one hit to drive the price down. Faith in the US dollar as the world’s reserve currency is dropping as countries divest themselves of the currency. Some countries are now trading directly (Australia and China for example) and the BRIC group of countries, Brazil India, Russia and china are heading towards a reserve currency of their own. As the world’s gold is slowly but inexonerably moving from west to east the US banks are becoming more and more desperate in their frantic efforts to bolster confidence in the dollar. Screwing confidence in gold is one way of doing it. Even if it costs more money, but hey who cares, they can always print some more. But through all this quagmire of who is selling what to whom and for how much, the value of gold and the real gold price remains the same. Buy gold vs sell gold does not change. Gold is a solid precious metal and an ounce of gold will still buy you a jolly good suit.